We like God small. We prefer a God who is safe, domesticated, who thinks like we think, likes what we like, and whom we can manage, predict, and control. A small God is convenient. Practical. Manageable. The truth: God is big. Bigger than big. Bigger than all the words we use to say big. Ironically, many today seem turned off by the concept of an awesome, terrifyingly great God. We assume that a God you would need to fear is guilty of some kind of fault. For us, thinking of God as so infinitely greater and wiser than we are and who would cause us to tremble in his presence is a leftover relic from an oppressive, archaic view of religion. But what if this small version of God we’ve created is holding us back from the greatest experience of our lives—from genuine, confident, world-transforming faith? 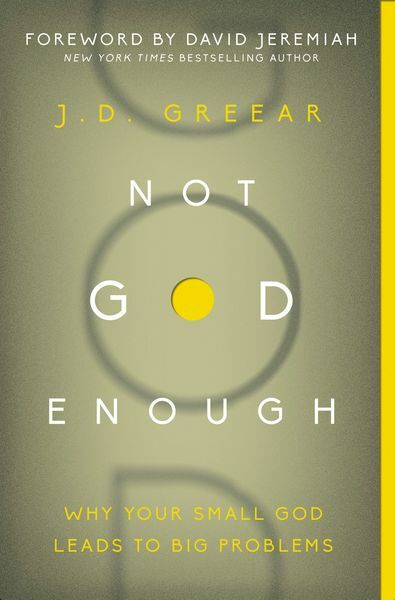 God is not just a slightly better, slightly smarter version of you. God is infinite and glorious, and an encounter with Him won’t just change the way you think about your faith. It’ll change your entire life.